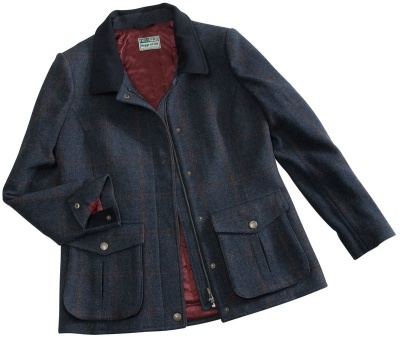 In true country style, this beautiful tweed jacket from Hoggs of Fife is a timeless classic that will last season after season. Crafted from 100% Shetland wool for warmth and durability, this jacket is perfect for outdoor adventures but stylish enough for everyday wear. Exquisite detailing includes, waist adjusters, moleskin collar, double entry bellow pockets, lightly quilted with a contrasting lining and back vents.